I used to refer to Kyle Brandt as “NFL Network host” in headlines here on BGN but I think you all know who he is by now. He’s the guy who delivered a great rant before the Eagles’ first playoff game. Then he had another epic one before the NFC Championship Game. And now Brandt is back with his best one yet, just in time for Super Bowl LII. So I’ve been talking for weeks now that my New Year’s resolution ... I can’t give up on these guys [the Patriots]. I can’t do it. It was my resolution at the start of the year. I’ve looked too bad too many times. They have the best quarterback I have ever seen. They have the best coach I have ever seen. And this is the longest I have ever gone without breaking my resolution. I do not have a Rocky quote today, I do not have a Revolutionary War reference, I don’t have any link today to Vince Papale, or Allen Iverson, the Broad Street Bullies, Hall & Oates, Joe Frazier, cheesesteaks, none of that. Enough of that nonsense. What I do have is this. This right here. This is the sheet of everyone who is taking the Patriots. Lot of big names on here. Boomer Esiason, Phil Simms, Matthew Berry, taking the Patriots. You know what’s the worst part about it? This is not the sheet. THESE are the sheets! LOOK AT ALL THESE SHEETS! I’ve got a stack! Mike Clay, Mike Golic, Mina Kimes, Ian O’Connor, Louis Riddick, Mike Sando, Mike Freeman, Don Pompeii, Jared Bell! The Madden simulation is taking the Patriots! We got a freaking giraffe that is taking the Patriots in the zoo. And here’s what I say: let them take the Eagles. Let them take the Patriots. I’m taking the Eagles. We all we got. We all we need. They’re going to win this game. They’re not going to win this game because they wear masks. They’re not going to win this game because they have a chip on their shoulder. Not because - cause they’re hungrier. The Eagles are going to win this game because they are better. Do this for me before kickoff. Do this. You put this Eagles roster right next to this Patriots roster. You love at every single starter at every position. You tell me how many times the Patriots have the better player. Four? Five? Maybe six? That’s it. The Eagles are going to win this, and it’s not going to be that close. The city is going to do some demon killing. No more images of damn sad sack Philadelphia losses. Burn ‘em! Burn Joe Carter in ‘93! Burn Shaq and Kobe in ‘01! Burn Patrick Kane in 2010! And burn four straight NFC title games with no ring. 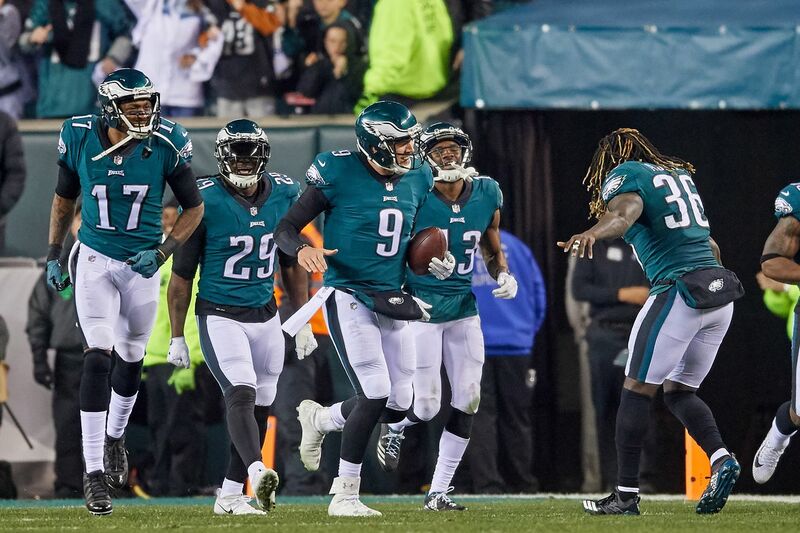 Because when the Birds rip this sucker, as massive underdogs, against the greatest quarterback, the greatest coach in NFL history ... it will not only be one of the best sports upsets I’ve ever seen. It’ll immediately become the first thing I think of when I think of Philly sports for the rest of my life ... is that town is a BLEEPING winner! You start greasing those poles, because these dogs are going to eat some GOAT and that title is coming home! Okay, but seriously ... IS IT SUNDAY YET? !